Droga5 debuts its first spot for undergarment and sleepwear manufacturer Jockey today. The agency and company take a bold approach with this "Greatness" campaign. The two play up the premise that spaceman Buzz Aldrin, baseball great Babe Ruth and General George Patton wore Jockey in big moments-- but what if they had been wearing today's Jockeys? 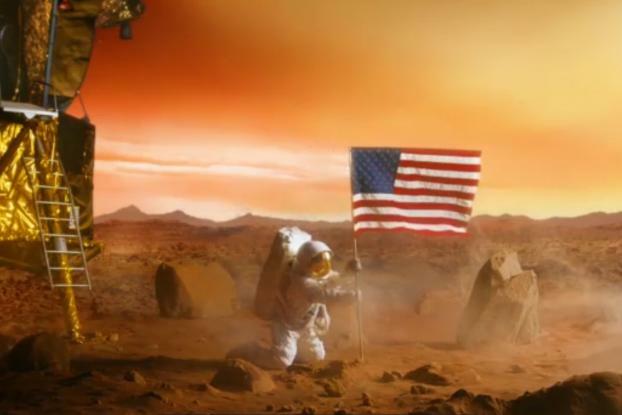 While the "Bambino" and General are mentioned, accomplished astronaut Buzz Aldrin is the star in this initial spot, cheekily titled "Supporting Greatness." The second man on the moon morphs into space conquerer mode, as a result of the pretty literal support his new and improved underpants give him. The campaign is supported by print and digital efforts, where the concept remains quite literal, as every image reveals what lies beneath the surface of each of these great men.